Part four of Baseball’s Top 40- #25 to #21. #25- KNOCK IT OUT THE PARK- SAM AND DAVE 1970: Sam and Dave’s single from 1970 didn’t make any charts their hits were all in the past and at this point Sam and Dave weren’t talking to one another when they went into the studio to record this song. I’ve always liked this funk-soul single even though the record buyers didn’t in 1970. #24 ST. LOUIS BROWNS – SKIP BATTIN 1972: A country-rock song written by Skip Battin and Kim Fowley. It gives us the story of the sad sack St. Louis Browns who spent 52 years in St.Louis before moving to Baltimore in 1953. While in St. Louis they played second fiddle to the much more popular and much much much more successful Cardinals. In 52 seasons in St. Louis the Browns only won one AL pennant- in 1944 a war year when most of the great players were off in the military. The Browns that season played the Cardinals in the World Series and of course lost in six games. By the 1960’s the old Browns had become a great success in Baltimore as the Orioles. 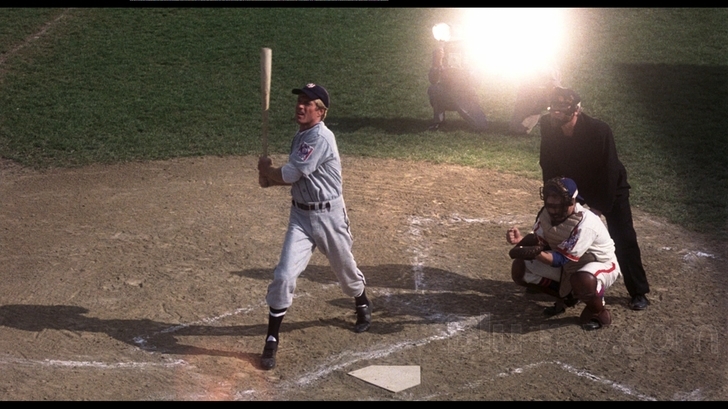 #23 THE NATURAL THEME: RANDY NEWMAN: 1984: One of the great baseball movies- maybe sometime I should do a greatest baseball movies list there are certainly a lot of fine ones. Randy Newman did the soundtrack- movie soundtracks were kind of the family business-three of his uncles were noted Hollywood film score composers-Alfred, Lionel and Emil Newman and four of his cousins are composers for motion pictures. The theme is as memorable as the movie. #22 TESSIE- DROPKICK MURPHYS 2005: The original Tessie was from a 1902 Broadway musical called The Silver Slipper. The Dropkick Murphys version recalls the original singing of the song by the Royal Rooters fan club at the 1903 World Series-when the Red Sox- then called the Boston American’s won the first World Series against the Pittsburgh Pirates. #21 ALL THE WAY- EDDIE VEDDER 2008 : When the song was written it had been 100 years since the Cubs had won a World Series. Finally in 2016 after 107 seasons of coming up short the Chicago Cubs finally went All The Way. Vedder a Chicago native and lifetime Cubs fans wrote it as encouragement to his team. I am not much of Pearl Jam fan but I do like this baseball song by Eddie and the video is great too. The poor St. Louis Browns needed a good song about them. When I hear St. Louis Browns I think of this song!